Why you need an HR service delivery platform. Making the shift to a shared services model for HR is one of the simplest steps an organization can make to improve efficiency, productivity, and a better employee experience at all levels. 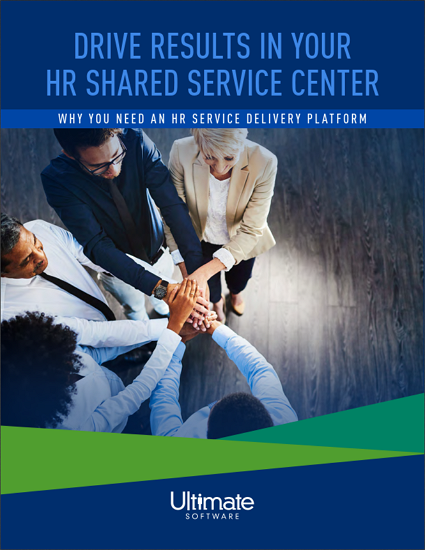 An HR Shared Service Center (HRSSC) can improve the work lives of HR professionals and all employees across your company—but that doesn't mean it's easy. Getting the most value from HR shared services means harnessing new technology that provides the streamlined support your people need, and justifies changing your HR model in the first place. Check out this whitepaper for best practices on HR shared service delivery and getting the executive buy-in you need.